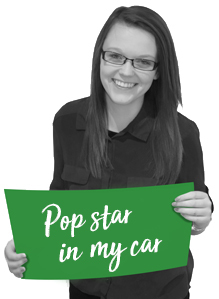 Jade who started with Mortgage Required in 2012 as a junior administrator. Working hard she has learnt every aspect of the business passing her final exams in 2017 to become a mortgage advisor. A. I wanted to be a footballer up until around 7, then I didn't have a clue. A. I regularly get caught singing my heart out in my car at traffic lights, each time is just as embarrassing as the last! A. Either Spice Girls or S Club 7. A. Ford Ka, nicknamed Ruby due to the number plate. A. I enjoy assisting people with their mortgage applications, and ensuring the processes run smoothly.